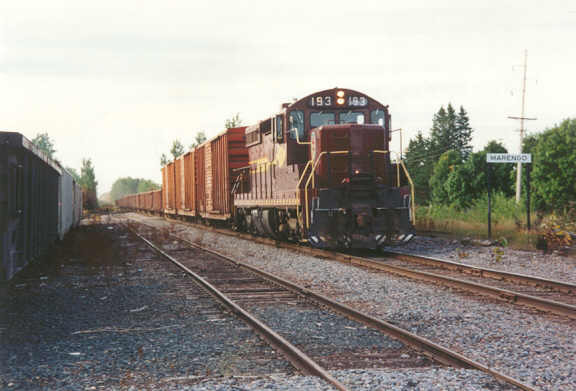 In the summer of 1993 the DSS&S Division of the Soo Line Historical and Technical Society (SLHTS) held their annual meeting in Ironwood. 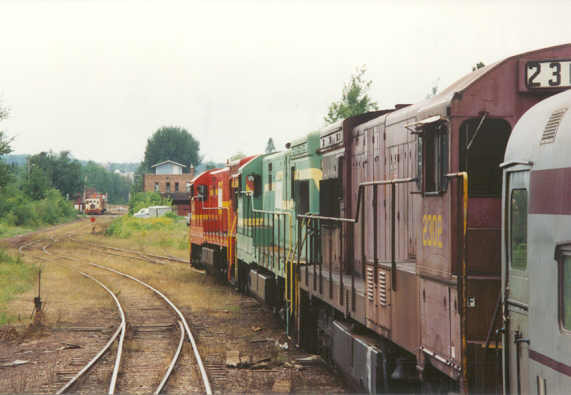 This gave us a chance to poke around the railroad scene in the Western UP of Michigan. 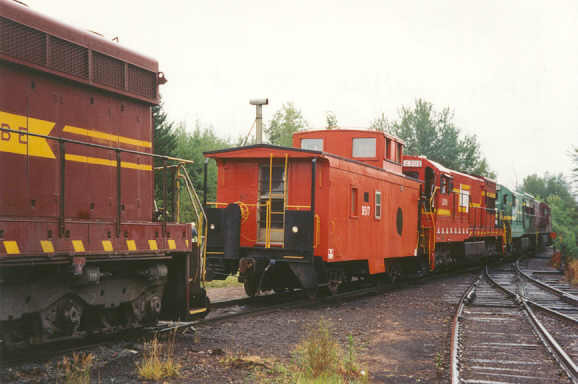 Here is the small WC yard at the White Pine Mine, this mine being the sole reason for the existence of the ex-DSS&A line from Marengo Junction to White Pine. Looking inside the mine. 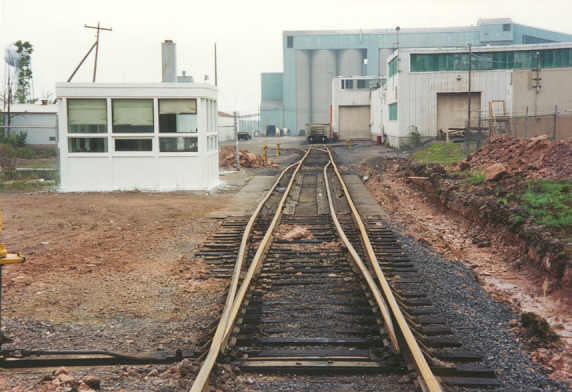 Inside the building is the mine switcher. 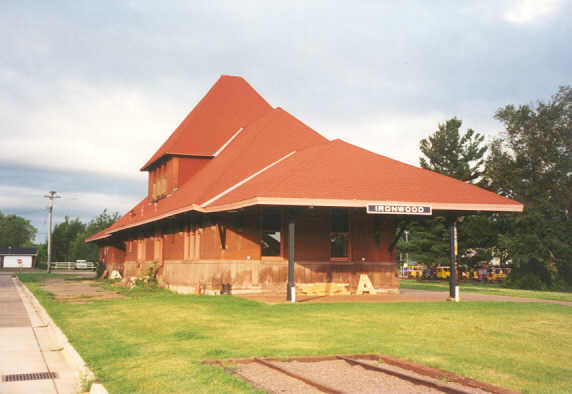 Here we have the Bergland depot still standing in 1993. 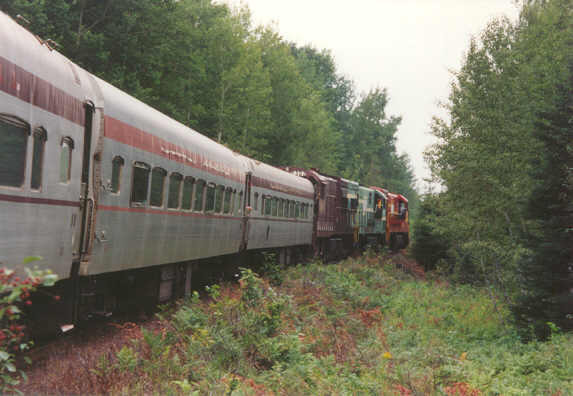 Bergland was on the main DSS&A route from Marquette to Duluth. 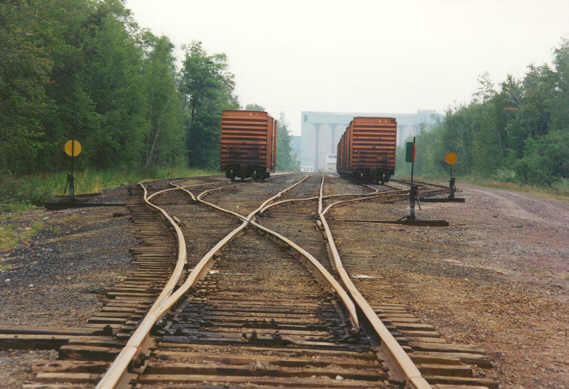 Thomaston used to be a division point and boasted a roundhouse but now there is just a single passing track. There is a small amount of freight traffic from here. 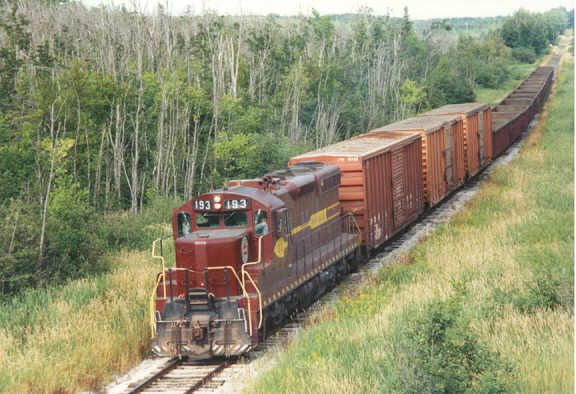 This is a train from the mine heading West pulled by a leased Missabe unit. Looking down from the US-2 bridge near Saxon. 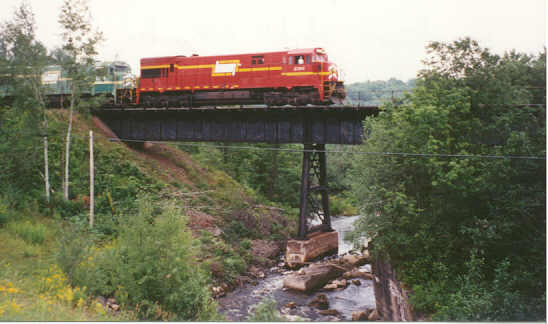 The long gone CN&W line to Ashland crossed the DSS&A line almost right under this bridge. 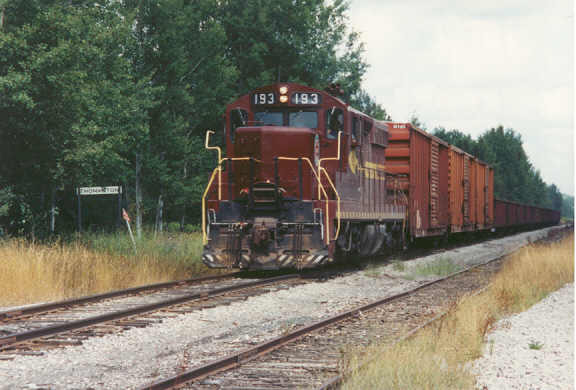 Coming off the branch to White Pine onto the "main line" from Ashland at Marengo Junction. 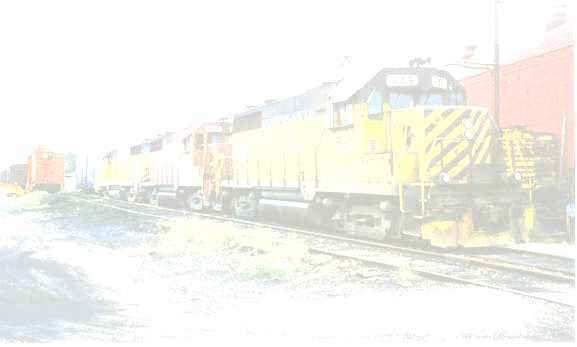 This has been as far West as DSS&A went since the 1930's, trackage rights through Ashland to Superior being utilized. 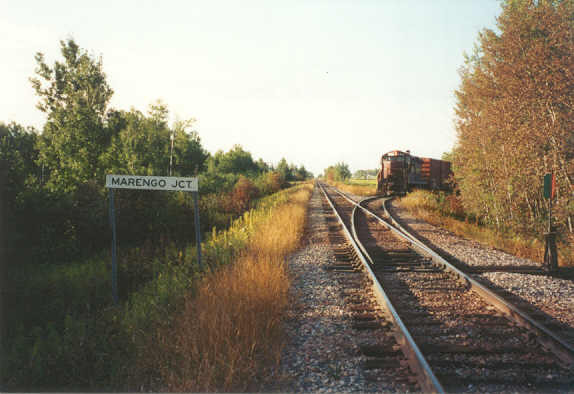 Heading through Marengo on the way to Mellen where the train normally ties up. 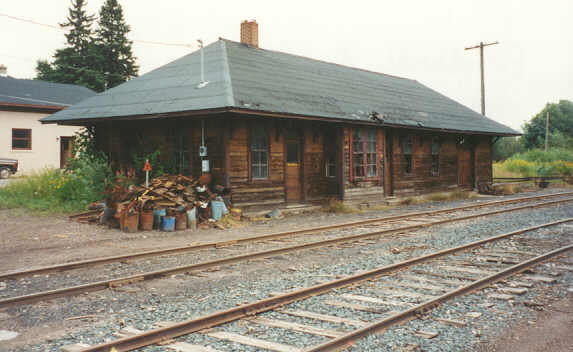 The ex-CN&W depot in Ironwood, now a museum. Inside the ex-CN&W depot in Ironwood we see the train schedule from better days. 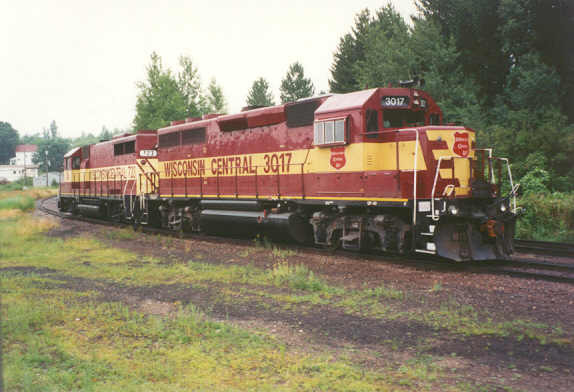 Here we have an ex-LS&I GE 2301 working a special charter on the Wisconsin and Michigan, which operated from Bessemer to Mellen. This is in Ironwood, about to pick up all the DSS&S Division group. 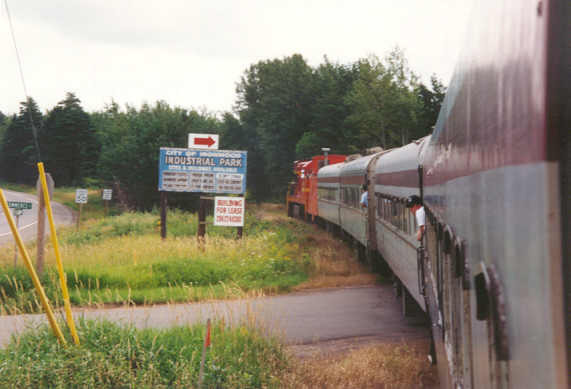 Heading East out of Ironwood towards Bessemer, where the 2301 ran around the train after burning out a traction motor. 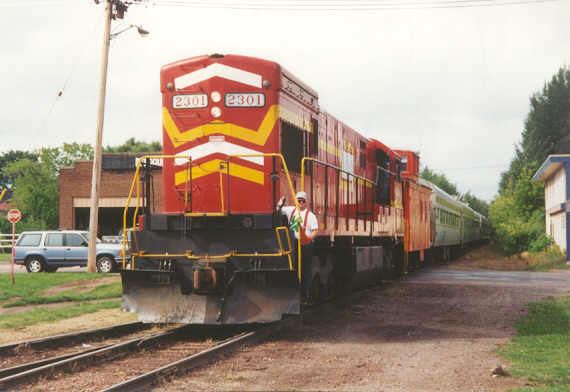 Back in Ironwood, we added two more ex-LS&I 2000 HPGE units and then set off for Mellen. 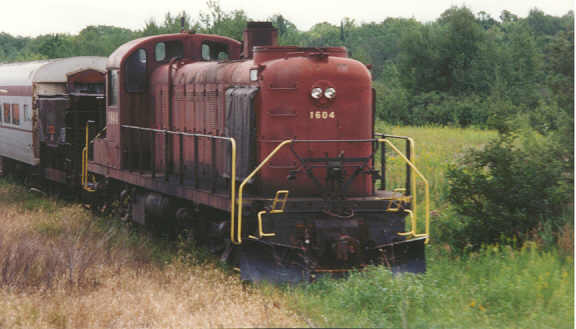 Ex-LS&I Alco 1604 was sitting on a W&M spur. The photo run-by west of Ironwood. Getting back on the train after the run-by. 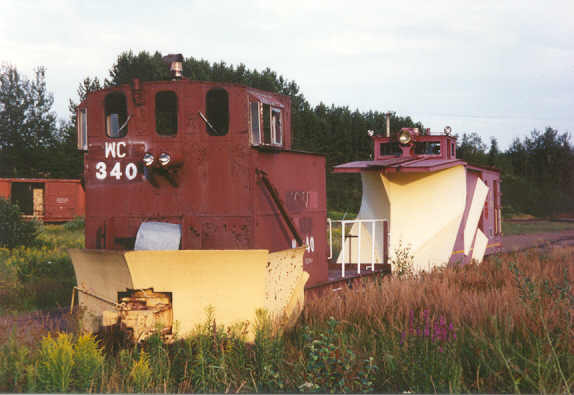 At Mellen we found these two WC locomotives at rest. Also at Mellen some WC snow fighting equipment. Switching the W&M locomotives to the front of the charter took some doing but was eventually accomplished. There was a wye at Mellen to help this.